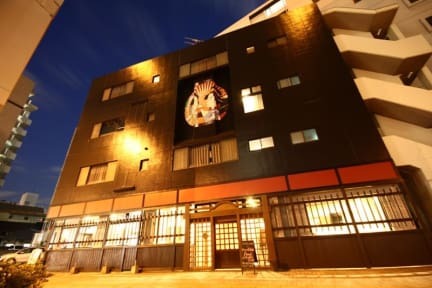 Kia Ora Budgetstay kohteessa Fukuoka, Japani: Varaa nyt! 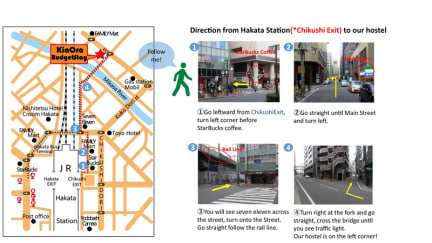 Kia Ora BudgetStay is located 10 minutes away from Hakata Station, enabling you easy access to the center of Fukuoka city. In the hostel, guests are offered rooms equipped with air conditioners, linens, and bathrooms (hot water at all hours). Shampoo, body soap, and hair dryer are provided free of charge, which makes your stay more convenient. Free wifi reaches every floor and room. An elevator is also available, so guests don't have to lift heavy luggage by themselves. The cozy lounge on the 1st floor offers free guest use computer and some other unique activities, making your accommodation more enjoyable. 50% of room rate shall be charged if you inform us 1 day prior to the accommodation date. 100% of room rate shall be charged if your cancellation date is on the accommodation day. **For group bookings of more than 8 people, the special cancellation policy is applied. 100% of whole stay will be charged as a cancellation fee if your cancellation / Booking Arrangement date is within 2 weeks of your arrival date. * Based on Reception business hours, 08:00 ~ 21:00 in Japan Standard Time.